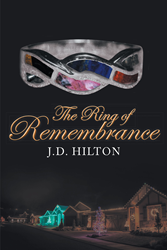 Recent release “The Ring of Remembrance” from Page Publishing author J. D. Hilton is a thrilling book about a killer and his unconventional method of finding victims and taking their lives in the darkness of the night. J. D. Hilton, a recently retired US Army warrant officer with degrees in psychology, foreign language, and intelligence studies, has completed his new book “The Ring of Remembrance”: a well-paced opus of a ruthless murderer’s harnessing of supernatural forces to kill families during Christmas, and how a special agent pursues him to put an end to the killings. Published by New York City-based Page Publishing, J. D. Hilton’s extraordinary tale centers around a powerful talisman that serves as the pivotal evidence to the successful capture of the accursed killer—the Ring of Remembrance. Readers who wish to experience this avant-garde work can purchase“The Ring of Remembrance” at bookstores everywhere, or online at the Apple iTunes store, Amazon, Google Play, or Barnes and Noble.